I know a cool way to throw some future shade! I want to introduce you all to the Sunglasses of the future. 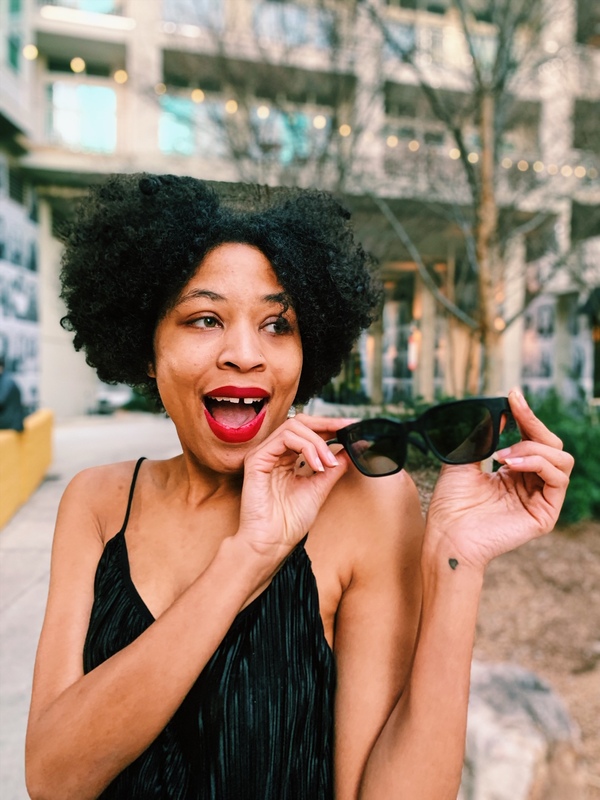 I attended a fun SuperBowl pre-kickoff event party in Atlanta hosted by The Infatuation x Bose, in which Bose gave all of the attendees their newest innovative product #BoseFrames. To everyone else they’re just sunglasses. The real secret: miniaturized Bose electronics hidden in the temples. It’s a state-of-the-art personal listening experience embedded in a classic design. Bose Frames come in two timeless styles — square and angled, or round and slightly smaller. Both block up to 99% of UVA/UVB rays, and feature uniformly tinted lenses and distinct accents — including gold-plated steel hinges and charging pins. They’re scratch and shatter resistant, and weigh a mere 45 grams — standard for the category. Each element is smooth, modern, and minimal. And they are shaped, fit, and feel like the world’s most iconic eyewear. 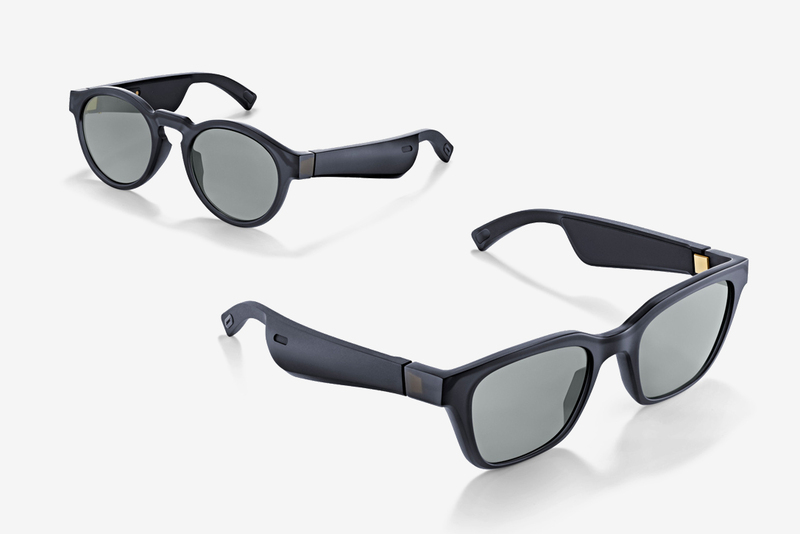 Bose Frames come in Matte Black and two universal styles — the larger (Alto) and smaller (Rondo). Both are available in the U.S. beginning in January 2019 at Bose stores and Bose.com at launch, followed by select resellers; and global markets in Spring 2019. An update on Bose AR, the industry’s first audio augmented reality platform, will be shared at SXSW 2019. 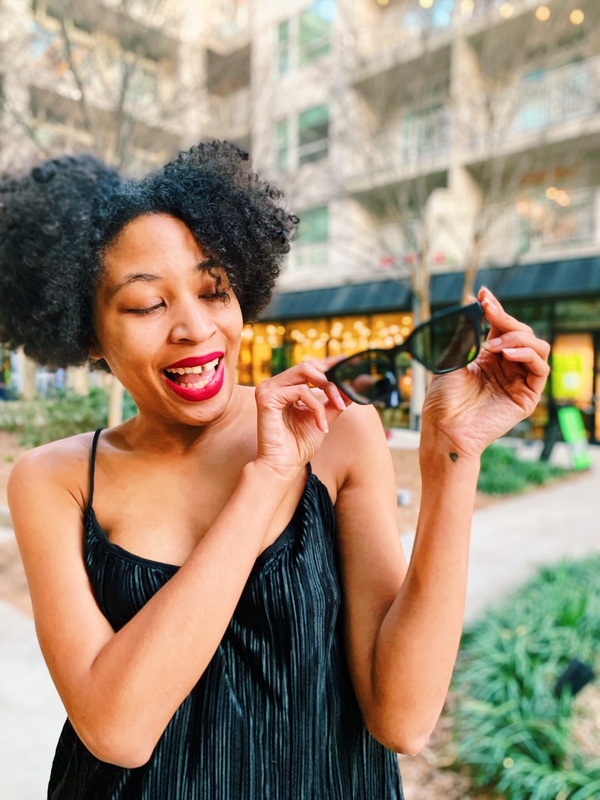 Sunglasses collection features two classic silhouettes with built-in Bose speakers.You hear rich, immersive sound, while others hear practically nothing. Exclusive technologies and custom speakers direct sound at you and away from others. Bose Frames function like truly wireless headphones — with engineering that crushes the limitations of size-to-performance for personal listening. A miniscule, wafer-thin acoustic package is set seamlessly in each arm’s interior — rather than an earbud, or attached component — to produce discreet, jaw-dropping sound for the user, and no one else. For touch and voice control, an ultra-small microphone and multi-function button are embedded on the right temple for power and pairing, Siri and Google Assistant, calls and commands, or to pause and skip songs. The Bose Connect app provides additional features now, and software updates for new features in the future — like Bose AR. 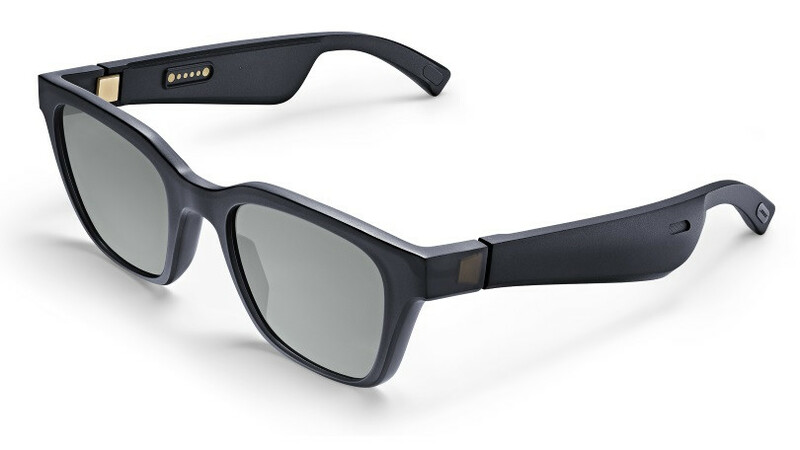 Bose Frames are Bose AR compatible — the first commercial product embedded with the Bose audio augmented reality platform. Unlike other augmented reality glasses and platforms, Bose AR doesn’t change what you see, or use a lens or phone camera to superimpose objects in your sightline. Instead, it knows where you are and what you’re facing using a 9-axis head motion sensor and the GPS from your iOS or Android device — and automatically adds a layer of audio, connecting that place and time to endless possibilities for travel, learning, entertainment, gaming, and more. It’s all accessible through the ease of listening — clear-eyed, heads-up, hands-free. And with Bose AR experiences in development, it’s coming soon to Bose Frames. Its not just musical sunglasses, it is good for anything you can connect your bluetooth to. You can connect to your phone, contacts, the web, and all its audible content, just like headphones. Fitness. Travel. Games, too. Bose Frames are your portal to Bose AR, the world’s first audio-only augmented reality platform, where applications will utilize contextual audio to deliver first-of-a-kind experiences. Every pair of Bose Frames is already Bose AR enabled. And it’ll be unlocked via a free software update. These are definitely revolutionary sunglasses. 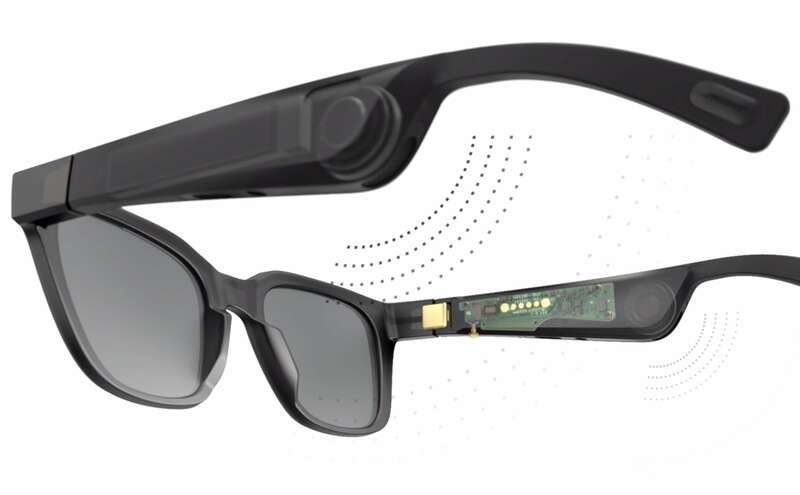 The innovation of these audio augmented reality sunglasses is a game changer! I am so excited to have a pair of these glasses and will be using these often. I see so many uses for these, I can’t wait until I can take these on a plane. Look if you need to tune someone out without them knowing, turn these bad boys on! These are also going to be a cool way I will be able to answer my phone calls or even listen to audio books or guided mediation at random! The sound is made in the shade. Bose Frames will provide an update on its AR progress in March 2019 at SXSW. Would you like to throw some future shade with Bose Frames? These are really cool! My tech husband would think these are neat! Oh wow – what will they think of next!? Seriously cool! Love the idea of this! I will sit on public transportation as far away from people as humanly possible. Put on music, wear shades and be holding a book like right in front of my face. That is so cool! I would love a pair of these to rock my tunes while I’m out and about. These sound super cool! As a tech lover, I really like the idea of these and would definitely consider getting a pair. What a cool idea! Bose is such an awesome brand. To crossover and combine sunglasses is very smart. This is absolutely something I would use. I can’t even imagine these! It feels so futuristic. I would love to try them though. These glasses are so innovative! I never knew that they could make such a thing. Looks like you had lots of fun during the Superbowl. This is amazing and innovative way to improve glasses. I would really want to try them out. Thanks for the review. Now I’ve seen it all! That’s amazing to see sunglasses like this. What will they think of next?! I know that this brand has great mini speakers too right? That glasses sounds so cool and amazing! Great looking sunglasses! I love the style! These sunglasses are such an interesting concept. I love that you can have your own soundtrack to jam to while protecting your eyes from the sun. Stop it right now! This is genius! I could use these when I’m on a run; they’d be perfect! These are too cool. However I will just admire them on others. Too afraid of losing or sitting on them !! What a great idea. I love this great idea. I want a pair. How cool. I love a good pair of sunnies. Thanks for sharing! This is so next level! Those are super cool and they’re neutral so they go with anything! What a seriously interesting and cool idea! I want to try these too! I would love to throw shade with these BOSE frames! These are cute and such an awesome idea! I think these could definitely become a big trend. These sunglasses look so cool. I love that there are speakers built in. As someone who likes to take walks and listen to music, these would be beneficial to me so I wouldn’t have to try to use my phone to listen to music. Love the styling of this sunglasses. I could be that it will fit on me. 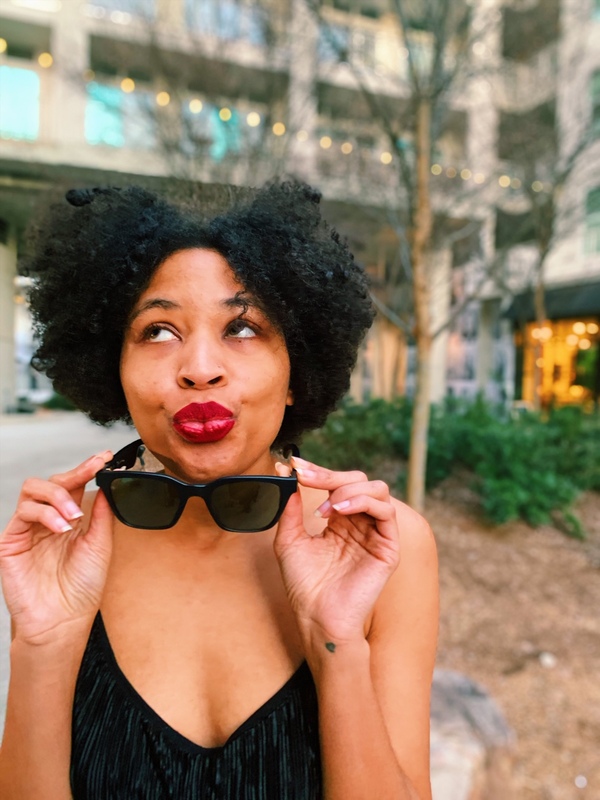 The shades are super cute, I also love the lipstick and your hair! What a cute and awesome sun glass. I want a pair. How cool. Omg so many cute pairs of sunglasses!!! I’m a huge sunglasses fan. Never leave home without them! Oh wow these are so cool! 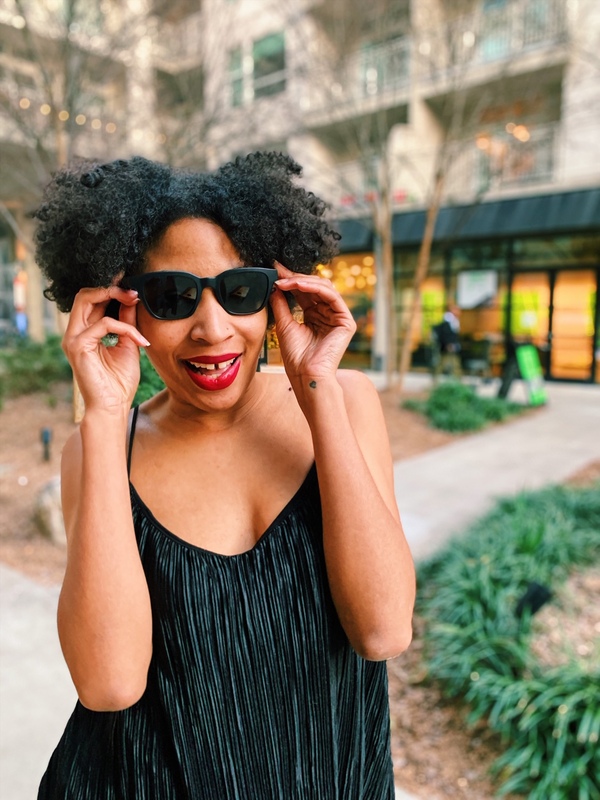 I didn’t even know such a thing was possible – hello new sunglasses! Such a good review. Thank you for sharing. Bose is a renowned name. I loved how stylish these glasses are. Those sounds pretty cool. I like that you can’t even really tell what they are. The frames are so simple yet very functional too. I love that they have a practical purpose. These are so neat! I wondered how they would work in such a way that the sound was personal. I could see these being great at the beach. Wow that is pretty cool! It’s amaxing to see new technology!! Oh wow talk about tech, now these are new to me never heard or seen them but will definitely be looking for them. This is such a smart idea. The mister and the teen love listening to music. This is the blend of both worlds and you wouldn’t even know it. Plus Bose is a legend in the game. Now those are some cool looking frames! I am absolutely loving the fact they have a soundtrack too! Great way to listen to music. These are so cool. Can other people hear the music? Wow, I am impressed. What fabulous shades. I think I need to get a pair of these. These are the coolest ever! And they look so good on you. Thanks a lot for sharing. These are so cool! Definitely needed for the summertime, I need! This is actually freaking me out. It is so innovative and modern. I cannot get my hands on one. These sunglasses are so cool. They look great and we can listen to music. Thanks for sharing. I don’t think I ever knew that Bose makes glasses! They are all awesome. These frames look like they would be so much fun. I have never seen ones that have the speaker inside which is so convenient. WOW! I would need such amazing sunglasses now that it’s so hot and I’m trying to keep my eyes off the sun while still enjoy some music. OMG these are so cool! And something my husband would definitely love! I’m going to have to look into these! wow this looks super cool. I think i need something like this. These look amazing! I would love a pair of this, I’m always forgetting my headphones when I’m out and about. These glass looks really nice. I love good sunglasses. Hard to find a nice one. This is absolutely innovative in so many ways. It will really kill the boredom. I cannot wait to get mine. Omg yesssss! These are perfect for walks in the summertime. Keeping my eye out for these. This is too cool to be true! The sunglasses of the future have arrived! These are so incredibly DOPE! I would love a pair of these.